Thank you for sending your quotation number . We thoroughly revised your offer and reached the decision to accept it. We are currently drafting a Purchase Order corresponding to the referenced quotation and we will share it with you once completed. We are excited about the prospect of doing business with you. This letter is with reference to quote number  which I received from you on [5 July 2015]. After a close and comprehensive study of your quote, the management has given their approval. 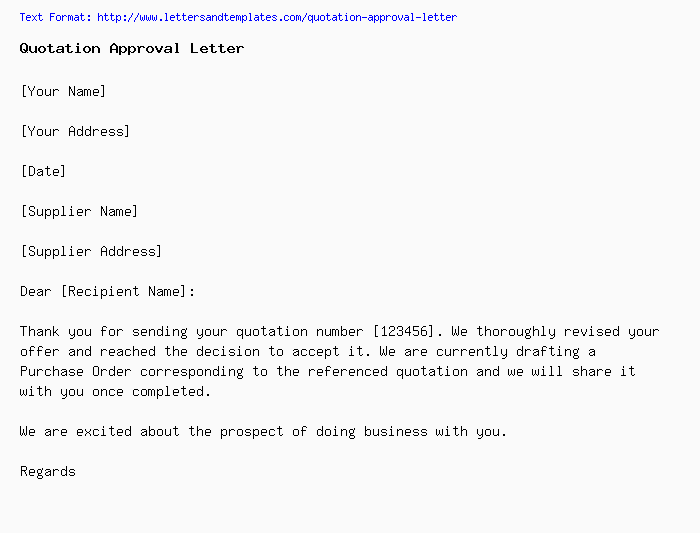 Enclosed with this letter is the purchase order corresponding to your quotation. Please review our order and do the necessary to proceed with it.